Travel to remote Kyrgyzstan, which is considered to be one of the top destinations for trophy Ibex. This area of Kyrgyzstan is rugged and remote. 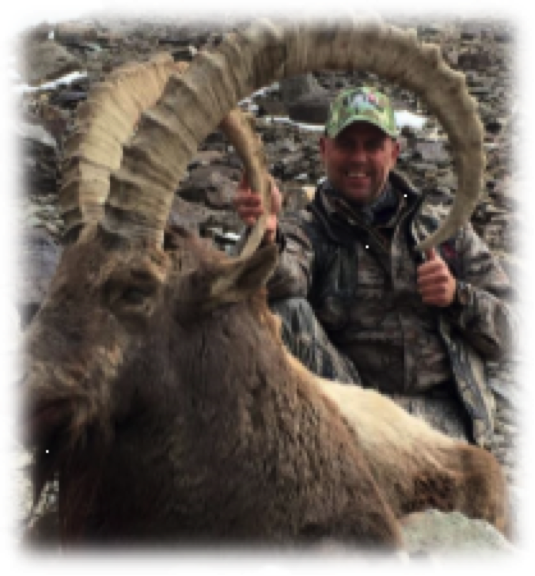 This is a trusted Link’s Wild Safaris Certified Destination offering both Argali Sheep and Mid Asian Ibex hunts. All of the past hunts to this exclusive area have had 100% success. Hunting for ibex in Kyrgyzstan is some of the best hunting in the world, at an altitude of 8,000 to 12,000 feet. Our recommendation is to begin this hunt at the beginning of the season, when the guides are fresh and have had time to scout for the biggest trophy Ibex available. You will be using well-trained horses to travel to the best hunting areas. The option of horseback hunting greatly expands the areas you will be able to hunt. Some outfitters rely on hunting via military jeep like vehicles that do not do as good of a job approaching the ibex area, as the game is easily scattered. Our Certified Partner was one of the original outfitters in Kyrgyzstan from nearly 20 years ago and has been able to secure the best hunting areas in the region. These hunts are based out of wilderness camps, similar to those you would find in remote Alaska. Food is basic but filling. Included in package hunt is camp style accommodations, meals, professional guide service, ground transportation to the hunting area, horses and tack, professional hunt coordinator services, licenses and in-field trophy care. Not included is travel to Bishkek, rifle permit $200, border zone pass $100, Hotels while in Bishkek, VIP Service in Bishkek $110. In addition, there will be vet certificate, trophy handling fees and shipping of the trophy to the USA at the conclusion of the hunt. Your license will be purchased by the outfitter prior to the hunt. The arrival and departure location is Bishkek, Kyrgyzstan, where you will be met by our hunt coordinator. You will then be transferred to the remote hunting areas. Climate varies regionally. The low-lying Fergana Valley in the southwest is subtropical and extremely hot in the summer with temperatures reaching over 100 degrees. The northern foothills are temperate and the Tian Shan varies from dry continental to polar climate depending on elevation.